"Maybe all the people who say ghosts don't exist are just afraid to admit that they do." 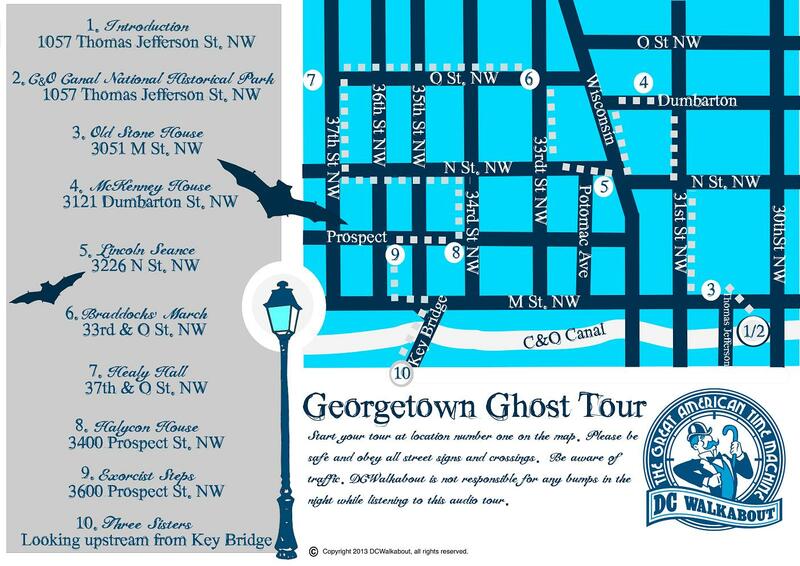 Our Georgetown Ghost Tour is no ordinary Washington DC ghost tour - We have pushed the creative boundary on this one. Inspired by perhaps the most famous ghost story of all time - The Rime of the Ancient Mariner - this DC walking tour is narrated in the style of the lyrical ballad. Dangerously frightening instrumentals serve as the background music, and only the scariest of sounds were summoned for this rather historically haunted of tales. Put your headphones on as we tiptoe through Georgetown together, revealing the most sinister and spooky corners around. Stops include the Exorcist Steps, Healy Hall clock tower, and many more maddeningly spine-chilling stories. Caution: May Cause Nightmares.